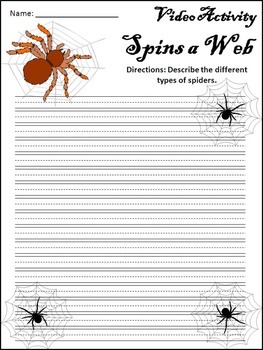 This Halloween activity packet assesses comprehension over the Magic School Bus video episode, Spins a Web. 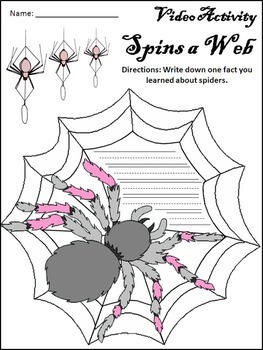 Includes a video comprehension quiz, a fast fact bulletin board activity, a writing activity, and a coloring sheet art activity. This bundle packet includes both color and b/w versions of all pages. The included color packet is optimized to print on both color laser and color inkjet printers. The included black & white packet is specially optimized to print well on black & white, grayscale, and monochrome printers. Bonus File allows downloading of the bundle in a single file rather than as individual files. If you like the products in my store, please follow me by clicking the STAR at the top right next to my picture. I am an experienced high school Business and Marketing teacher and former graphic designer. 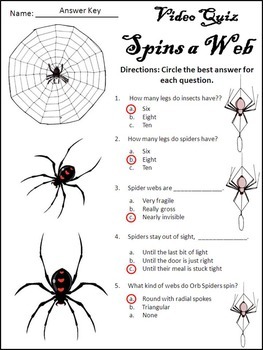 Currently, I am homeschooling my 3rd grader with special needs for whom I design and use various worksheet packets, many of which are sold in MY STORE on Teachers Pay Teachers. To receive updates on new products and free worksheet downloads, click on the STAR near my photo above. You can also friend me at Linked In .